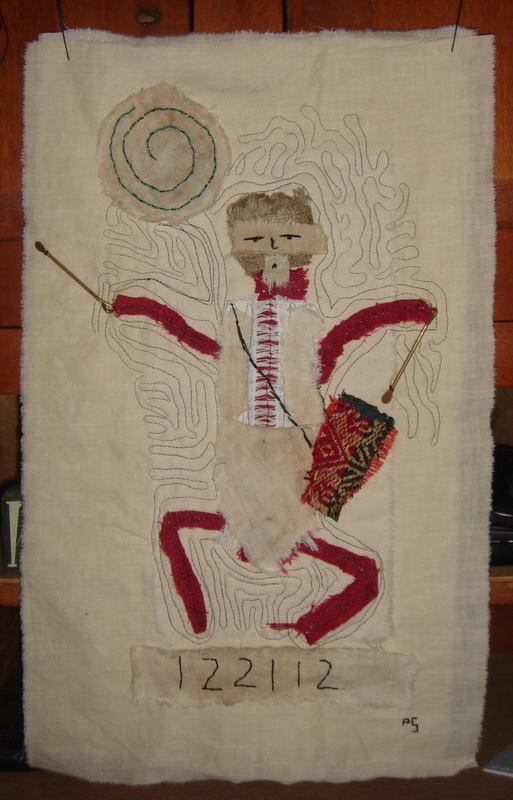 The solstice altar cloth became this–a drummer–echoing the remembered beats of the hearts…. from NEWTOWN. And we listen. thank you Mo. i always appreciate your comments–and the sense of support i feel from you.